Filling in Indian e-tourist visa & uploading photo & passport pdf advice. Leaving it too late to apply for a normal visa I applied instead online for the new e-tourist visa. I was disappointed that there is only an option for a one month visa for online applications whereas if you apply via www.vfsglobal.com you can get a 6 or 12 month multiple entry visa. It took over 3 & 1/2 hours to complete the appliction. Uploading photo and copy of passport in pdf format – which had to be under 300kb – was time consuming. I’m in my 50’s so thought perhaps it was just me not being very tech savvy but have asked around and it’s not just me . In hindsight I could have completed in stages – and had the photo and passport pdf ready before i started filling in the form. Hopefully the info below in this blog will help you. How easy is it to fill in the form ? The form itself is relatively straightforward to fill in – but uploading pdf and photo not so easy. Give yourself a good couple of hours to do this so you are not rushing. When you are assigned a temporary application number write it down as it is likely you will not finish the application in one go and need to log back in – note the number starts with the letter I for India , not the number 1. Note where it asks for ‘referee in India’ I have filled in the name of hotel where i was first travelling to. I have filled in Indian visa application forms before and this is acceptable. If you are staying with someone you know that is obviously better. I have previously asked and if you are travelling around and not sure where you’ll be staying it is perfectly acceptable to just write that you are doing that. Just enter roughly where you are heading first. However – when travelling to India it is actually quite a good idea to book ahead online somewhere to stay for the first couple of days at least. This also makes filling in the ‘referee in India’ easier. After you get your bearings look for alternative accommodation when you are there. Often other travellers will give you great advice. Laptop or phone best ? I filled in the form using my laptop – on my phone the text is tiny and large form which needed to be moved around the screen to view) and used apps on my iphone to take passport photo in required square format and also take photo of passport and convert to required pdf size. See snapshots of the apps below. Then I sent both to myself via facebook messenger from my phone and opened messenger on laptop and downloaded the photos. There is very probably an easier way but i was mid form and had to work this out as i went along. The square passport photo was reasonably easy and straight forward – just follow the instructions on the free app – pictured below. 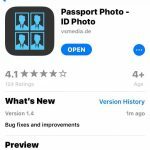 Search your App Store for ‘passport photo ID’ . You will be given the option to take a photo with dimensions specific for India. The PDF shot of the passport not so easy. I used the Free APP in the photo below. It took several attempts – each time sending the photo to myself from my phone to my laptop via facebook messenger and then saving in documents where i could then see how big the document was. The first was 876 kb , far too big and was rejected by the e-visa website . Several attempts later I managed to get it to the correct size by moving the camera further and further away from the passport ( the app will flash up a message to move the camera closer – ignore it , you will need to move it further away) and then crop the photo of any background stuff. Eventually you will get a pdf copy of the photo under 300kb. This will then be accepted by the e-visa website. If you have problems uploading try renaming the file with a shorter name. Make sure no full stops “.” before the file extension .pdf …. ie not exam.ple.pdf … it needs to be example.pdf . If you cannot see your PDF and photo after you have successfully uploaded – try clearing your cache or alternatively view using a different browser ie google chrome or firefox – as internet explorer doesn’t always display properly. How much does e-tourist visa cost ? My last online visa cost me £49.37 and a 99p non-sterling transaction fee ( cost variable I guess due to currency conversion ). However the cost has gone up now to £54. It arrived very quickly via email taking about a day and a half which was good news. A friend received hers quicker than that. I forgot to print the email and attachment off ( thinking I could just show the email )and had do do this at Heathrow as Emirites will not let you check-in without a hard copy – had to email it to them at the desk and they printed it off for me. Time consuming – luckily had time to do this otherwise would have been a major issue. Now that you’ve solved the problem re Filling in Indian e-tourist visa & uploading photo & passport pdf why not purchase a neck pouch passport holder. I have one similar to the one in the link above. I was constantly showing my passport at the airports. It’s a lot easier to have it easily to hand rather than in a bag. I chose a RFID blocking passport holder for extra security. I strongly advise you do too. Radio Frequency Shielding Material blocks any attempts to steal passport data from the microchip in your passport. For extra security you can also store debit/credit cards in there for the same reason. Contactless cards have RFID chips embedded in them which can be read by fraudsters standing next to you with RFID readers. The last thing you want to have happen to you at any time but particularly when you are off on your travels. Why not check out this pack of two plugs if travelling from uk. Confusingly some sockets have 2 holes and some 3 so this two pack has one of each – you’ll really not want to leave home without at least one pack – and FAR cheaper than buying at the airport. Thank you if you purchase anything from Amazon on this page. I get a small commission which helps towards the cost of hosting this website. Hi i am trying to upload my passport to my Indian visa application. Can you tell me is it both pages or just the one with the photo and info on it. Hi – it’s just the one page with your photo and details on. Hope that helps. I did the two. Or rather it was done for me in the internet cafe. The two seemed larger than the required size – I asked the evisa team if they were happy because I could rectify the situation. But they said they are. So fingers crossed for a visa. I guess they can delete the other page… Do you think i’ll be rejected? Together it seemed to be 886kb…. but he stressed all was fine. Uploading the passport detail page in a particular size – was very hard. If not impossible for someone with basic knowledge of uploading. Plus the threat that if you get things wrong your money will not be returned. I phoned the Indian help desk and got a dead phone instead of help – out of hours? Thank you for your comment Jaso – yes I agree it’s very difficult – I had huge problems myself when I applied. The notes in the blog describe how I managed it in the end with the help of an App on my phone. My advice is to do this BEFORE you start the application. I hope you’ve managed to get your application in successfully. I was able to upload my passport; however, when I click the view button nothing shows. Is this normal? the size of my pdf is 196kb. Also Camscan app lets you take pictures on your phone and immediately send them as a Pdf (or text or jpg). The good thing is, before you send it, it tells you the file size, so if it is too big you can take the picture again without having to send/open/check size and then repeat the whole process. Saves time. Thank you. It’s been a couple of years since I applied so maybe it’s fairly new. I found CamScanner but not CamScan. Eventually worked out you had to ‘share’ the doc to find out the size but useful thanks. I will update the post at some point. The only hesitation I have is that Adobe is a trusted name and I’m uploading my passport via them – I’ve never heard of camscan before. Hi. Really helpful site. We managed to get passport scans to required size after fiddling – I took photo of passport page, pasted it into Word and then saved that document as a pdf. We uploaded my husband’s but when we pressed ‘view’ it didn’t show so don’t want to submit in case it isn’t there. Any tips? Sometimes it’s your browser – if you use google chrome or Firefox you shouldn’t have this problem. Yes exactly how I described it on this blog post is how I did it. I’m sure there must be other ways but I hadn’t a clue what I was doing and had to wing it. It took me hours to get it done. Good luck – let us know how you get on. We’ve had problems when we tried to view uploaded pdf of passport page. We took photo of page, pasted it into a Word document then saved that as a pdf – was under 100mb. As we couldn’t see it was there were reluctant to submit application only to have it rejected. Any clues? I totally understand your frustration – I felt the same way – but it will be so worth it ! Have you tried using a different browser – google chrome and Firefox are good. And clear your cache. Not sure why that helps but it does. Sorry to hear you’re having problems . Try clearing your cache and if that doesn’t work try a different browser internet explorer isn’t the best with this form. Try google chrome or Firefox or just try using someone elses computer. Hope it works and enjoy India ! Good luck & let us know how you get on. I’m in UK & those two banks are Indian – where abouts are you ? yes I know that two are Indian bank that’s y im asking how you did the payment im located in Australia and trying to get e-visa for my friend. Sorry I can’t see the visa process from an Australian point of view to be of much further help. Thankyou so much for this page i leave for india in 3 weeks and its taken me nearly a week to find any info on visas even the company im going with were not helpful this has been amazing! So glad to have been of help – enjoy India. Preparation is everything, don’t start before you have the photo and passport images ready and when you need to pay, click on axis bank. It’s quite an illogical form to fill in but I managed to do it and I’m in my 70s. Hi, i got through all the stages up until uploading documents and then it pushed me out. Do i need to wait for a new ID to be emailed to me to pay or should i have been asked already for that. tried the number in india but they didnt answer it kept disconnecting. You should be able to log back in with your existing application ID number. If you can’t try using a different browser of device – your phone for instance. Hi – I am trying to complete the eVisa process for my Indian eTourist visa. I have successfully completed everything, except uploading a PDF copy of the bio page of my passport. The website tells me that I have successfully uploaded it, but when I try to view it there is nothing there. I have tried using a scanned copy of my bio page (284kb) and saving a photo of it via Word (70kb). Neither of them work. What do I need to do in order to successfully upload it? This is getting very, very frustrating!! It may be there – try viewing on a different browser or if on laptop try viewing on your phone. Hope this helps. Thanks – your comments were helpful – I switched my browser from Microsoft Edge to Microsoft Chrome and my document appeared. Thanks again! Hi great website and really helpful. 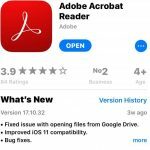 Maybe a silly question but download the adobe acrobat and adobe scan apps as suggested. The scan and document once taken is in Black and white ..o presume this is ok? Considering it is very clear and everything can be seen and read perfectly? Or does it need to be in colour. Not sure why they are black and white – mine were colour using the same app and they need to be colour . I just used the app again to test it and the document I scanned was in colour. Perhaps try the process again. A tourist visa is sufficient for a holiday and follow this link to my blogpost where there is a link to the official Indian visa websites. Hello. Is it okay to take a picture myself and edit it according to the requirements? Or is it advisable to take a proper one from the shop. The one that I edited seems fine but I’m worried though. If it ticks all the boxes it should be ok. But if you are able take a look at the app I recommend in my post – it’s totally free and you can take a photo specific to Indian visa requirements. You can always delete the app afterwards. There is no need to pay money for a photo these days. If you don’t have a smartphone perhaps someone else could do it for you and send the photo to you. Good luck & enjoy India. I was not able to find the app that you suggested in play store so I eventually just got my photo taken professionally. Another question though. I believe I have fulfilled all the requirements specified by the website and all that is left is the payment. But looking at the number of applications that get rejected I’m quite skeptical about applying for an e-visa instead of a regular visa. What is your advice? Ah ok maybe it’s only on iPhone. I’ll check that out. As to which visa to apply for that’s a personal choice. The e-visa is supposed to be quicker as you don’t need to actually visit a visa centre. With an e-visa you will have to have your biometrics taken on arrival at airport which took a long time. I managed to get it all done and I received my e-visa within a day. Thanks for your help and have a good day! Hello. Just wanted to let you know that I received my e-visa within 24 hours and I’m all good to go! I was afraid that my application might get rejected even though I followed all the requirements. But it went well. Thanks a lot for your help. Thank you so much for taking the time to let me know how you got on – I’m so happy to have helped. Hope you enjoy and love India. After uploading the picture I did not received an option to add the PDF for the passport. Did I miss anything? Or is this a system error? I did got the PDF with all the filled in detials for the visa incl. my picture added. Besides that they did not pushed me through the payment page. What shall I do? start from the beginning? Or do I need to wait for an e-mail? When I check the status of the visa it says: Under Process. Not sure exactly what you’ve done but you should be able to go back to the firm by logging in with your temporary application number. Note .. the first digit is an I for India not the number 1. Hi, I have applied for a visa which has come back okay but as I have gone to print it off I have noticed that my photo is on its side (90 degrees out) is there any way to correct this now or is it too late? Will they have a problem with this when I get to India? I’m not sure how this has happened but I’m now worried they won’t let us in? Sounds strange and I don’t know the answer to that question. Hey there. Does the digital photo have to be the same as the photo in your passport? I head to india in a week, and am late getting my visa sorted. Any info is helpful to me..
Amazing! This helps me a lot, thank you! And is it okay to take the photos of passport, and digital photo on my phone. And of course edit them to fit measurement requirements etc. Is it possible to complete the whole bisa from my phone? As I’m currently travelling with no laptop? The photos can be taken on your phone but the photo does have to be square. The app I recommend is free and you can choose the setting specifically to India. Great thanks. Visa filled in and sent away! The pdf size was a nightmare haha. But all done! One thing I’m concerned about is the date I put my visa start date as. I start travelling from my country on 17th March (This sunday) but don’t arrive until 8am 18th March. I put the start date from 18th March. Do you think this will be alright? No it does not have to be the same photo at all, mine was a diff picture, had a light background and it was sideways and they didn’t even bat an eyelid! I was worried about the fact it was on its side and emailed the visa people to ask and they asure it was a minor mistake which would not matter (this was correct)! Our airline Tui, also checked before we boarded the plane and said they see sideways, different to passport and light background photos all the time and they are never a problem! Hope this helps you and others 🙂 enjoy! My husband and I are heading to India this July 17th Is it okay now to apply for evisa?